Although my style of cooking is largely throw-together-and-see-what-happens, I am known, on occasion, to attempt more complex experiments. I have successfully made thieboudienne from Senegal—manoeuvring a large, whole fried fish on to a bed of rice, leavened with a vegetable stew—spent 4 hours cooking an emu, combined ingredients from Chennai and Casablanca and roasted a 3kg duck after creating a new marinade from my own garam masala and rum. It’s not an experiment, Amazon’s Jeff Bezos once said, if you know it’s going to work. Fair enough, but all my kitchen experiments work. A rare experiment that went wrong presented itself last week. I was back home in Bengaluru after 10 days away and wanted to whip up something quick and different from my usual stir-fried or baked approach. Work had piled up, there were bills to be paid, my brother was on his annual visit, and I was scheduled to travel again within a week. For once, I was out of kitchen ideas. Of course, at a time when I needed to simplify my life, I turned for inspiration to the biggest cookbook in my library: Culinaria, a weighty, 640-page compendium of European cooking that I used to refer to quite regularly until a few years ago. I obviously had spent some time with this magnificent work of culinary art because a series of markers poked out. Most were puzzling and did not appear to be things I would attempt: Trappist beer, baklavas and Friesian clove cheese. Perhaps I had once used the book for nighttime reading, which was conceivable given my inclination to the obscure—I don’t claim to be fascinated by obscurity, but my friends and family note that not too many people read about frigate armament, interviews with Hitler’s generals and currywurst-making techniques before nodding off. In the event, I looked at the first bookmark, and it appeared to fit my search for speed and novelty. 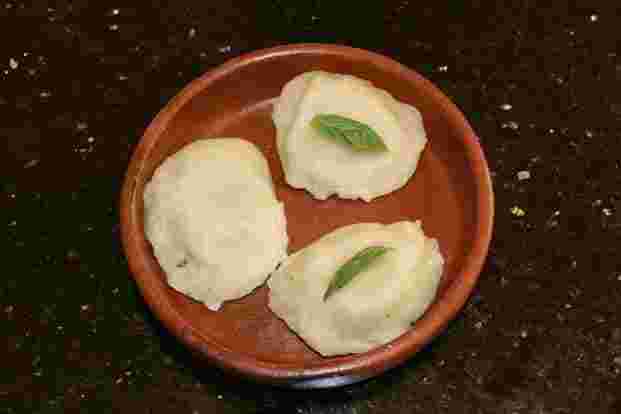 The pelmeni (dumplings) were alluring because of the short and easy recipe—except that it was not. I should have been warned by the pelmeni’s origins. They resemble Italian ravioli, their origins are in Mongolia, but frigid Siberia is where they are eaten as a main meal, Culinaria informed me. Pelmeni were once stuffed mainly with horsemeat, but that has changed over the years. The options before me were beef, calf’s liver and mushrooms. I did not have any of these, so I used what I had—spinach, cheese and chicken. Vegetarian and non-vegetarian options, as this paper, my home and India required. Once the little dough parcels were made, Culinaria said, they were hung in cold rooms for the winter. Hunters used them as provisions for winter journeys—they would melt snow, boil the water and plunge in the frozen pelmeni. I should have been warned by a requirement for pelmeni dough to be “no thicker than a knife blade" and my lack of experience with dough in general. My only experience with dough was dosa and that was not particularly relevant. The first attempt at pelmeni dough was a disaster. There was too much water and oil and I kept adding more flour and water, hoping to, somehow, magically retrieve the situation. When no magic was forthcoming, I discarded the entire, sticky mess and started over. I realized this was a European recipe, and Europeans like precision. So, I went off to find something I never use—measuring cups. This time, I stuck to the precise measurements in the recipe and, lo, a dough started to emerge. It did not stick and it did not collapse. But, as I went about the process of rolling it out and creating the little dumplings, I realized I was not going to get the knife-edge-thinness that the recipe demanded. Perhaps it was the balmy weather, perhaps it was the dough or, perhaps, it was just me. When the final product was ready—and there is no easy way to say this—it did not look like anything the Siberians would accept as sustenance through their long winters. Nevertheless, I found my pelmeni to be reasonably palatable because of the stuffing. The dough was too thick and reminiscent of modak—the sweet-coconut-filled dumplings made in Maharashtrian homes (my mother’s included) during Ganesh Chaturthi. The wife, who is usually interested in all my experiments, popped in. “Here’s your veggie option," I offered. She raised an elegant eyebrow at its ungainly appearance, and seeing no polite way out of her predicament, took a bite. “The covering is undercooked," she pleaded. When I raised my own eyebrow, she hastily added, “but the stuffing is nice" and made a quick exit. In case you are wondering, I was not deterred. The world, you see, is my laboratory. In a mixing bowl, pour in the milk, flour, salt and 3 teaspoons oil. Mix well and knead into a dough. Use the rest of the oil to moisten if the dough becomes sticky. Roll into a thin sheet and use a katori (small bowl) to cut into round shapes. Stuff with little filling and seal to form a dumpling. Drop into boiling water for 10 minutes. Drain and set aside. For vegetarian stuffing: 2 tablespoon finely chopped spinach mixed with soft Brie cheese. For non-vegetarian stuffing: 2 tablespoon finely chopped grilled chicken mixed with 1 tbsp chopped spinach.